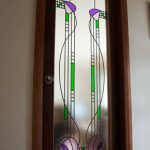 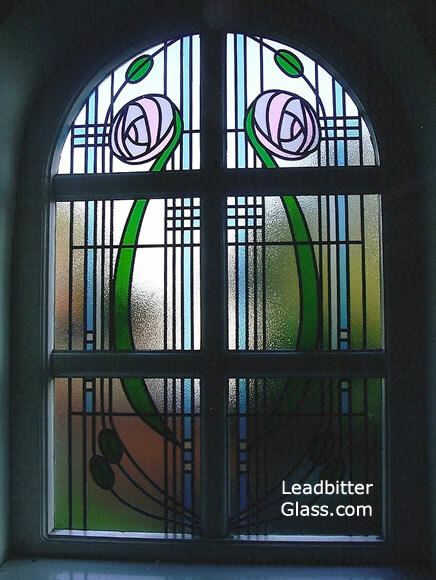 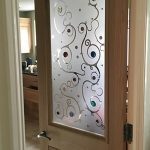 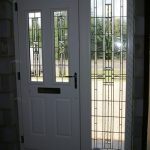 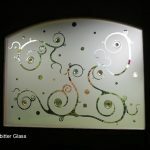 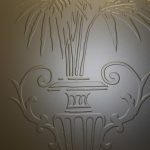 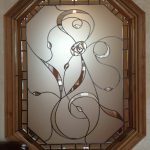 In June 2012 we created this beautiful Mackintosh Leaded Window consisting of a set of small glass panels for one of our clients – Mrs Rose Lunt. 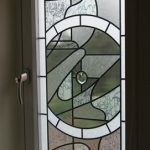 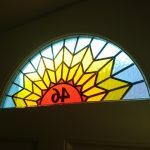 The glass was to replace broken window glass in a bathroom window so we used toughened Stippolyte glass because of it’s good privacy properties when used with our Overlay Stained Glass technique. 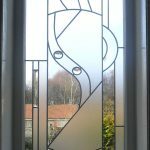 The original design was spotted by Rose in our Mackintosh Galleries and we altered the layout to make it suitable for the clients own window sizes and shapes. 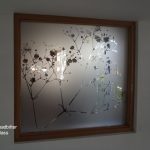 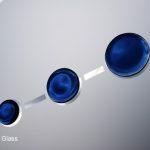 As usual wiith our orders we created a CGI drawing of how the glass would look and we gave Rose a few different colour options to choose from.